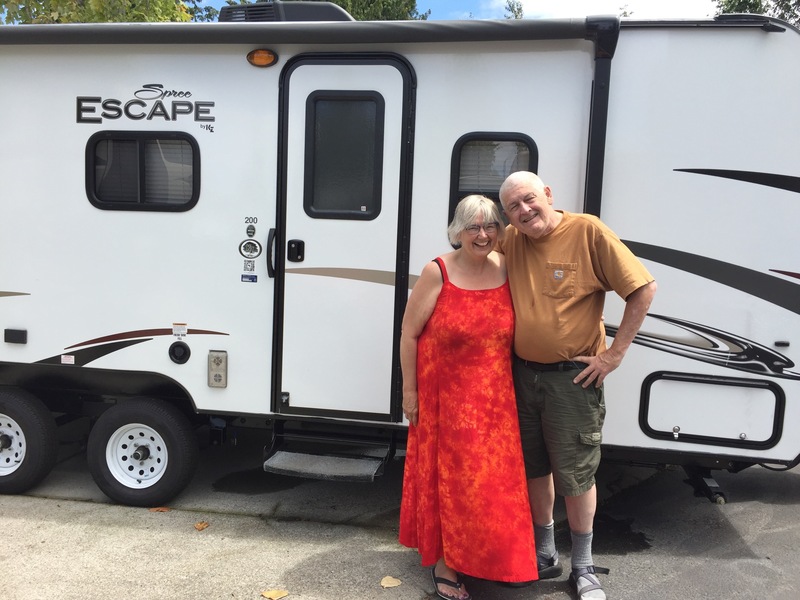 On October 10th, we arrived back in Seattle and settled into our RV park. We’ll be here through mid-January. Seattle welcomed us with warm and sunny skies but with big storms looming later in the week. So, what did we do on our first full day back with our truck set free from the trailer? We took the ferry to Whidbey Island, drove north to Deception Pass, stopped for ice cream in Coupeville, visited some favorite areas in the Anacortes area and drove back to Seattle. Once you’ve got the traveling fever, it stays with you. Ellensburg, WA; Spokane, WA; Missoula, MT; Dillon, MT; Brigham City, UT; Moab, UT; Farmington, NM; Albuquerque, NM; Amarillo, TX; Oklahoma City, OK; Fort Smith, AK; Little Rock, AK; Memphis, TN; Nashville, TN, Great Smoky Mountains, TN; Greensboro, NC; Goose Point Recreation Area, VA; Flatwoods, WV; Ashland, KY; Louisville, KY; Mt. Vernon, IL; Columbia, MO; Kansas City, MO; Overland Park, MO, Wilson Island State Park, IA, Sioux Falls, SD; Chamberlain, SD; Rapid City, SD; Sheridan, WY; Columbus, MT; Butte, MT; Anaconda, MT; Missoula, MT; Spokane, WA; Ellensburg, WA; SEATTLE. We’re looking forward to the next chapter in our travels! Suffice it to say that we had no idea of the beauty of South Dakota. Now, it’s one of the states we want to revisit. The pictures are worth more than any words could tell.